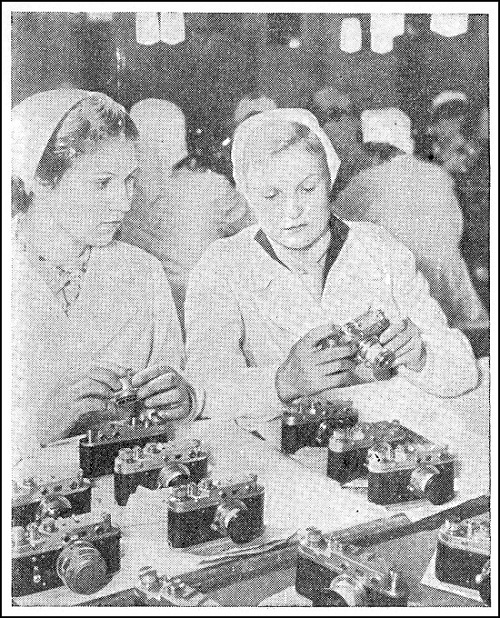 In 1947 the Soviet camera industry decided that the FED camera were to be mainly for the home market. This probably explains in some way why they were never pretty looking cameras apart from the early FED 1 and 2. It was decided that the Zorki camera were to be mostly for export. This is probably why later models, Zorki 3 and 4 were more technically advanced than FED. The Leica II inspired this Russian camera manufacturer to produce the Zorki Range-finder camera from 1949 till 1978. The Zorki came from the Krasnogorsk Mekanicheski Zavod or KMZ, which translates as Krasnogorsk Mechanical Factory. This same factory also brought us the Zenit Single Lens Reflex or SLR. These cameras are one of the cheaper Leica copies, which has established its eligibility as a collectors item. In particular the 1951 Zorki 3 which is sure to go up in value. (source: http://www.btinternet.com/~stowupland/index.htm).